Monster Boy and the Cursed Kingdom is ranked in the 95th percentile of games scored on OpenCritic. Monster Boy and the Cursed Kingdom not only does justice to the Wonder Boy series, but improves the familiar concept in many areas. The game has convinced me from the first to the last minute, and it's a pleasure to jump through the beautiful kingdom with Jin, solve puzzles and defeat demanding bosses. Monster Boy and the Cursed Kingdom is a must-have title for anyone who likes jump'n'runs or classic action-adventures. Monster Boy and the Cursed Kingdom is a phenomenal game and one of the best Metroidvanias ever made. Monster Boy and the Cursed Kingdom is everything that you'll want in an official sequel to the Monster World franchise. Regardless of the late game frustrations and spike in difficulty, it is one of the best modern day platformers I have ever played. Monster Boy stands alongside the likes of Celeste and Yoku’s Island Express as truly fantastic representations of the genre, doing enough differently and with enough style, polish and care to ensure it’s kicking and screaming on the doors of the Game of the Year contenders. At last our consoles come Monster Boy and the Cursed Kingdom, it has been a long wait but without a doubt the result has been worth every minute of our patience our hype has been pleasantly satisfied. Colorful, stylish and ultimately delightful. a spiritual sequel that manages to bring nearly forgotten pages of video game history to the 8th gen and improve it in every way possible. that's right, Monster Boy is game that lots of old franchises dream to be reborn as. Monster Boy and the Cursed Kingdom is the best example of how a development team can revitalize an old series. It is a must have game. Monster Boy and the Cursed Kingdom is really one of the best 2D action platforming games that i experienced in 25 years of playing. I really didn't expect this amount of fun and entertaining before starting the game, but it really shocked me with its amazing art style, engaging action and entertaining platforming. The most important thing about Monster Boy and the Cursed Kingdom's gameplay is the "Balance" that exists between all elements and mechanics of gameplay, specially on using various forms of the protagonist, Jin. 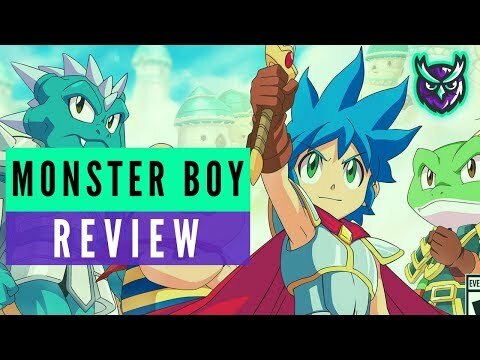 Monster Boy and the Cursed Kingdom is an amazing spiritual successor to Wonder Boy series and it is absolutely worth your time and money. Easily one of the best platformers released this generation with striking visuals and great game design. Monster Boy and the Cursed Kingdom is an absolute delight from the beginning until the end its epic story campaign. series, except with much better art and music. Some warts do show up, mostly stemming from a steep early difficulty curve and occasionally hard-to-judge hitboxes and jumps, but on the whole, Monster Boy and the Cursed Kingdom is a fabulous entry in a relatively dormant series. My future-gazing hope is that this team can have another go and make it more of a bolder, modern game than a warm, loving throwback to a series clearly near and dear to them. Monster Boy and the Cursed Kingdom is an extremely fun and entertaining game that not only pays homage to the Wonder Boy series, but also takes the matters into its own hands and delivers one of the best platforming experiences of this generation. Both a faithful spiritual sequel and a fresh adventure, Monster Boy and the Cursed Kingdom is an excellent platformer with some truly gorgeous visuals. 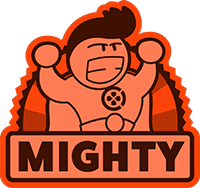 A terrific, substantial, imaginative package. Despite the concerns and some frustrations Monster Boy and the Cursed Kingdom is a very well-designed and gorgeous title as a whole. When you’re in the groove it feels absolutely brilliant and up to a point I appreciate the fact that you won’t be able to get through many sections on the first try as you may need to experiment a bit. The boss battles are challenging but often pretty smart and really none of them play out in the same way or even as you may expect due to their creativity. While I would have rated it higher if it either outright toned down its spikes in challenge or added a means to alter or skip them I’d recommend it without reservations. If you’re willing to either gut it out or assume that the game could get patched at some point to help out you’re in for a treat, just be aware that it can have a mean streak in places. Monster Boy and the Cursed Kingdom perfectly bridges the gap between old and new, delivering the same style and charm of games from the Master System and Mega Drive, but including the same style of platforming and puzzle solving that have made modern indie titles stand out from the crowd. Essentially, it has captured the heart and soul of the original, and given it a breath of fresh life. Cursed Kingdom is a fun, occasionally frustrating, romp through a world I hope we get to revisit one day. For those with a great deal of patience looking for a challenging 2D platformer with huge amounts of character, Monster Boy and the Cursed Kingdom is great. For everyone else, it’s likely to be frustrating just as often as it is fun, severely putting a dampener on the whole affair.